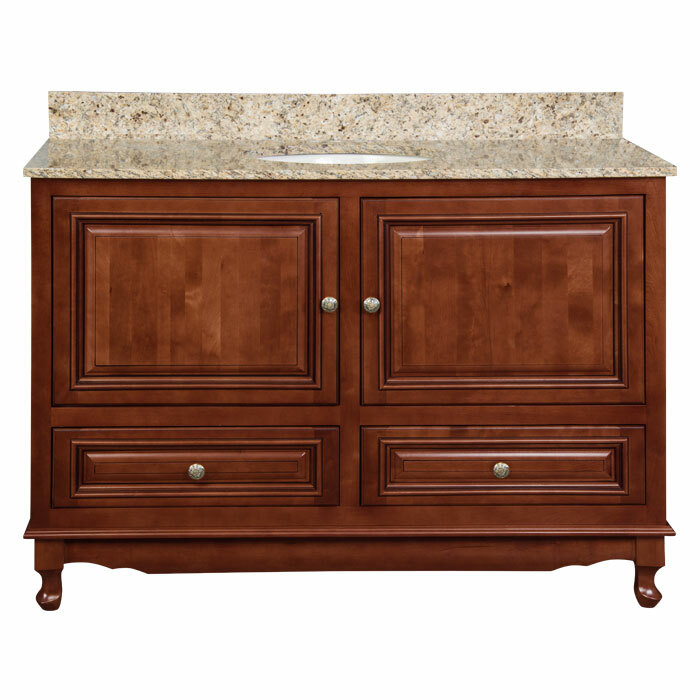 Our Empress bathroom vanities feature cabinet doors on top with drawers below. 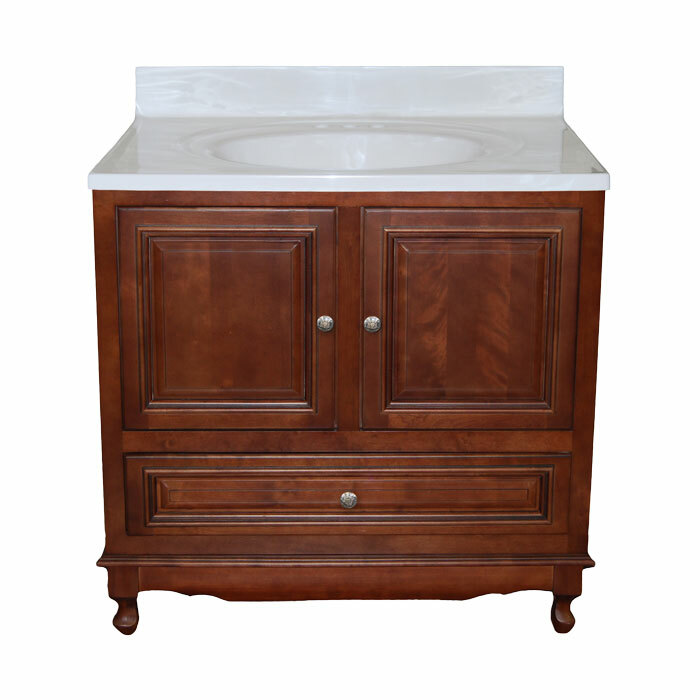 Empress vanities are constructed with solid wood face frames and doors, mortise & tenon doors, and rabbet joint drawer boxes. 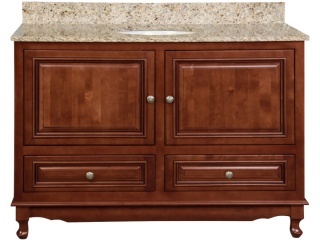 These vanities also feature decorative base with feet, raised panel inset doors, concealed adjustable hinges, and full-extension drawer glides. 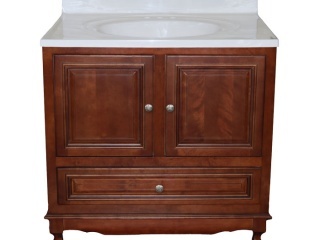 The Empress Vanity Collection includes the items listed below.